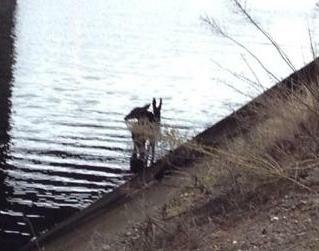 A doe and her fawn found themselves in need of some assistance in getting out of a canal near the bridge on Hazel Avenue in Rancho Cordova on Monday, December 15. Personnel from Sacramento Metropolitan Fire, Bureau of Reclamation, Kindred Spirits Fawn Rescue, California Fish and Wildlife North Central Region and the Wildlife Investigations Laboratory all contributed their expertise to ensure the best outcome for the deer. 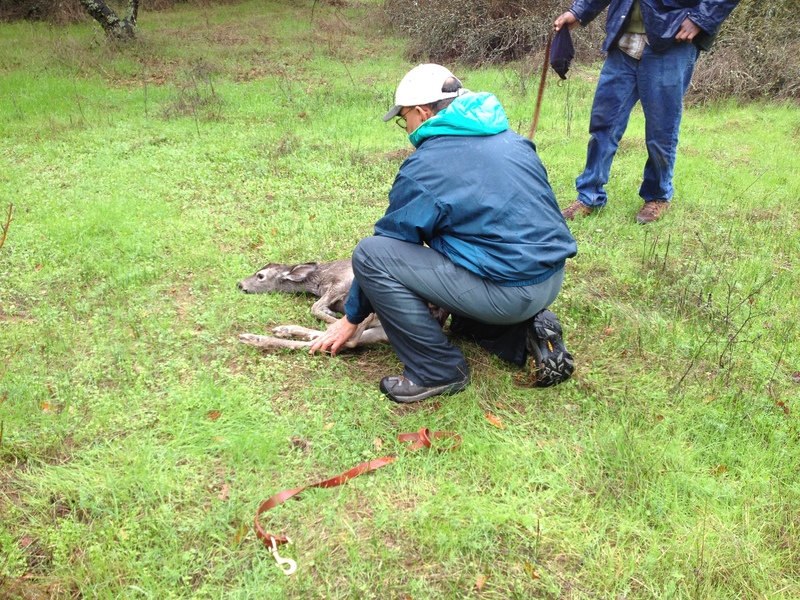 The doe and fawn were safely captured and then released at Lake Natoma. 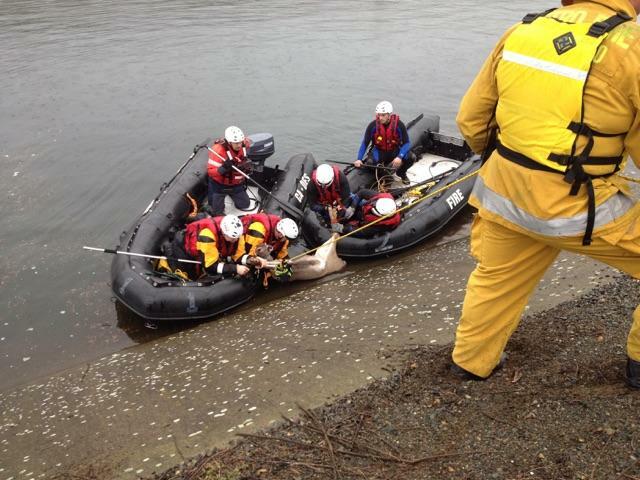 Below are pictures of the rescue. Doe and fawn trapped in canal. 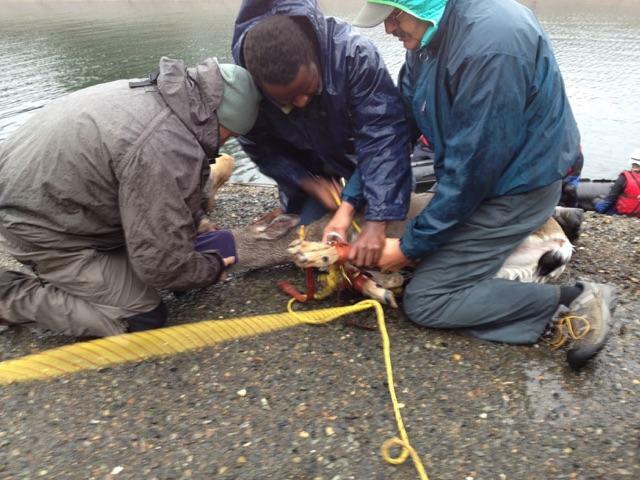 Dr. Ben Gonzales from California Fish and Wildlife releasing the fawn after rescue. This entry was posted in Deer, Game, Rescue, Uncategorized, Wildlife, Wildlife Veterinarian and tagged Mule Deer, veterinarian, wildlife, Wildlife capture by cdfgwilab. Bookmark the permalink. The caring and great effort put forth in this rescue is very heartwarming. Great job everyone!